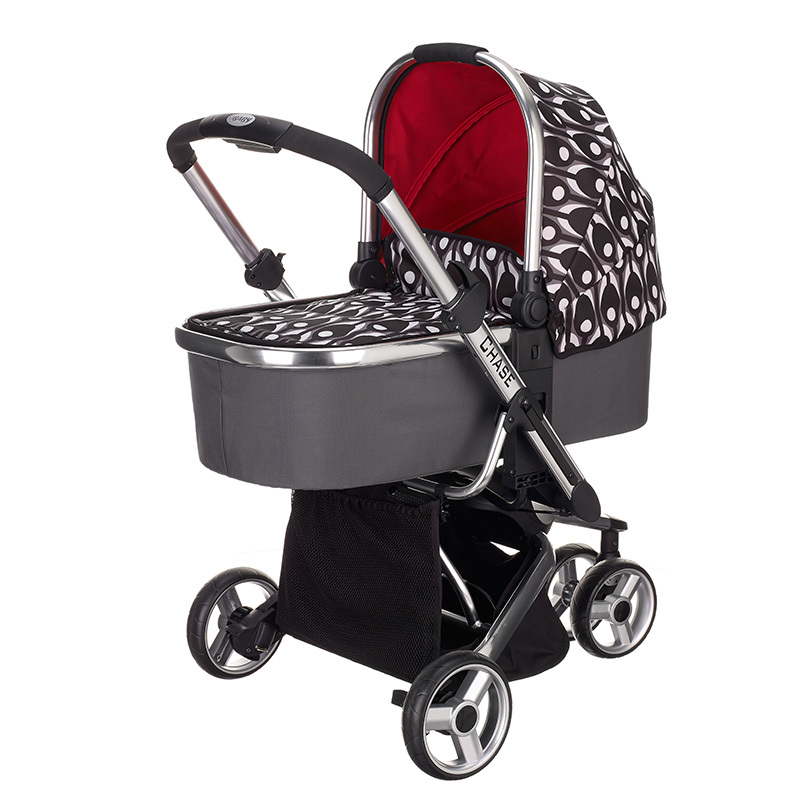 Suitable from 6 months, the Chase stroller chassis is comprised of high quality lightweight aluminium and utilises an innovative pneumatic unfolding system with a neat, compact fold to create one hugely convenient and practical option for parents on the go. When creating the Chase, Obaby have incorporated all the key features needed to meet and exceed the demands of the modern parent; safety, comfort and ease of use are essential attributes of the design. The seat units can be both parent facing and world facing and are available in bold colours, to ensure that both baby and parent stand out from the crowd. A co-ordinating head hugger, shoulder pads and footmuff offer extra support and comfort for little one, while security is increased with a 5 point safety harness, adjustable leg rest and a removable bumper bar. 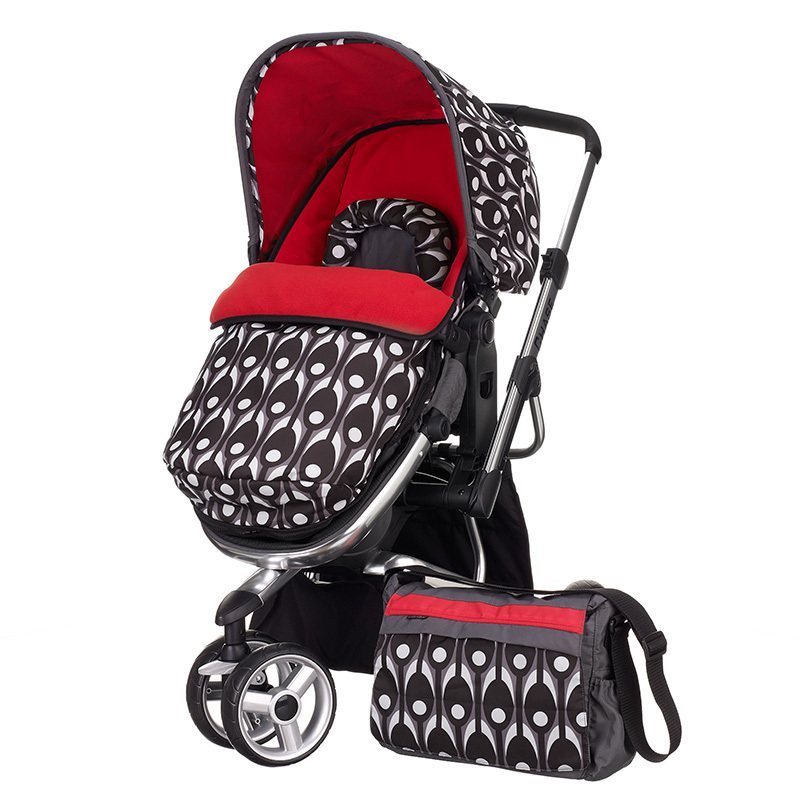 Parents have not been forgotten either â€“ the lockable front swivel wheel, height adjustable foam handle, large shopping basket and Pompom changing bag all enhance the experience of using the Chase day to day. Keep baby snug and protected from the elements, in sun, wind or rain with a retractable and detachable UPF 50+ hood and raincover, with the fleece footmuff keeping kids cosy in colder temperatures.